Every second over 8000 tweets are sent out on Twitter1 and, in the United States, 90% of adolescents and 65% of adults use some form of social media to curate, share and/or communicate information.2 The rise of social media has transformed how scientists conduct research, communicate findings, and aggregate information. In this issue of The Genetic Link, we explore how science is harnessing social media, where it is being best-used and what this means for you. “There’s a big hype when a paper comes out, but then there is this underwhelming lull for a year or two as you wait for citations to accumulate, so you don’t know whether your science is reaching people.”4 - Clayton Lamb, a University of Alberta Ph.D. candidate. Concerns limiting wide-scale use of social media by academic researchers. To date, an abundant amount of literature focuses on social media threats to professionalism rather than how to most effectively harness it for mass outreach.7,12 In a 2014 study on perceived professionalism on social media involving medical students, faculty and the public - faculty members indicated a significantly lower comfort level and feeling of appropriateness than medical students. Similarly, perceptions of credibility of social media vary with age - with younger scholars indicating a more positive perception than older scholars.2,13 Part of this might be the blurring of boundaries on social media between professional and personal use. In an analysis of sharing behaviors of scientists on Twitter, only a small portion of shared URLs were found to be science-related and the “majority of the tweets were personal.”10 Academic and commercial views of the importance of social media access are split, with some companies blocking or discouraging use due to reduced work productivity, whilst others encourage it due to increased access to up-to-date information and communication outreach possibilities. “It’s about being able to put your finger on the pulse of science, to get out and listen to what’s happening on the scientific street corner.”10 – Jason Priem, information scientist and co-founder of Impactstory (non-profit company that tracks the reach of scientific studies, data and web pages). In summary, researchers need to weigh the benefits of social media, such as increased public engagement and access to scientific information, against the cost of time and sacrificed privacy. 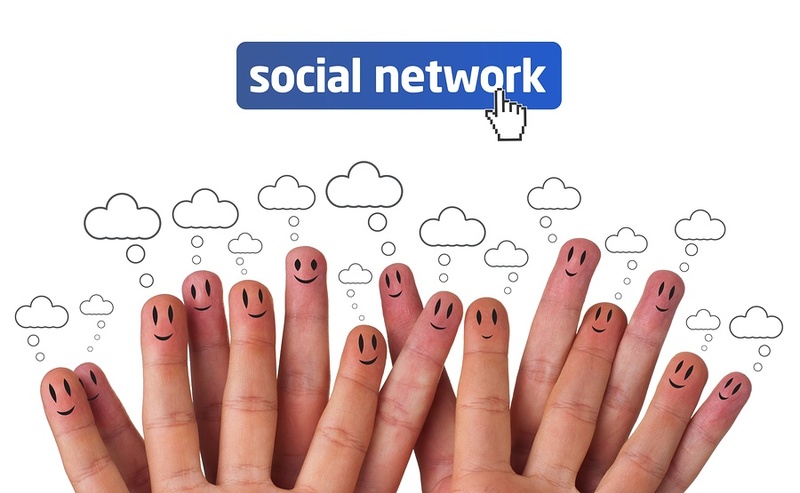 Social media is a powerful communication tool and an area that will continue to evolve. Understanding how to best harness its power and measure its research impact will be of great value in the future. How do you use social media in academic research? Leave a comment and let us know. 1. Internet Live Stats. In 1 second, each and every second, there are. Internetlivestats. Accessed 14 Sept 2018. http://www.internetlivestats.com/one-second/. 2. Sugimoto CR et al. Scholarly Use of Social Media and Altmetrics: A Review of the Literature. J Assoc Inf Sci Technol. 68(9):2037-2062 (2016). https://doi.org/10.1002/asi.23833. 3. Harnad S. Post-Gutenberg galaxy: The fourth revolution in the means of production of knowledge. Public-Access Computer Systems Review. 2:39-53 (1991). 4. University of Alberta. How social media helps scientists get the message across: New study suggests good research pushed through social media gets more citations. ScienceDaily. ScienceDaily, 12 April 2018. Accessed 14 Sept 2018. sciencedaily.com/releases/2018/04/180412085729.htm. 5. Lamb CT, Gilbert SL and Ford AT. Tweet Success? Scientific communication correlates with increased citations in Ecology and Conservation. Peer J. 6:4564 (2018). doi: 10.7717/peerj.4564. 6. Botting N, Dipper L and Hilari K. The Effect of Social Media Promotion on Academic Article Uptake. J Assoc Inf Sci Technol. 68(3):795-800 (2015). https://doi.org/10.1002/asi.23704. 7. Chan TM et al. Social Media and the 21st-Century Scholar: How You Can Harness Social Media to Amplify Your Career. J Am Coll Radiol. 15(1 Pt B):142-148 (2018). doi: 10.1016/j.jacr.2017.09.025. 8. Jarreau PB and Porter L. Science in the Social Media Age: Profiles of Science Blog Readers. Journal Mass Commun Q. 95(1):142-168 (2017). https://doi.org/10.1177/1077699016685558. 9. Hitlin P and Olmstead K. The Science People See on Social Media. Pew Research Center. Pew Research Center. 21 Mar 2018. Accessed 14 Sept 2018. 10. McQuate S. What all those scientists on Twitter are really doing. com. Macmillan Publishers Limited, part of Springer Nature, 20 Apr 2017. Accessed 14 Sept 2018. https://www.nature.com/news/what-all-those-scientists-on-twitter-are-really-doing-1.21873. 11. Ke Q, Ahn YY and Sugimoto CR. A systematic identification and analysis of scientists on Twitter. PLoS One. 12(4):e0175368 (2017). doi: 10.1371/journal.pone.0175368. 12. Muscanell N and Utz S. "Social networking for scientists: an analysis on how and why academics use ResearchGate", Online Information Review, 41(5):744-759 (2017). https://doi.org/10.1108/OIR-07-2016-0185. 13. Jain A et al. What is appropriate to post on social media? Ratings from students, faculty members and the public. Med Educ. 48(2):157-169 (2014). doi: 10.1111/medu.12282.